Kabuto remembers when he first met Orochimaru when he and the rest of the Leaf Orphanage aided several wounded Hidden Leaf Ninja, the Sannin member seeing potential in the child despite not interested in becoming a ninja. But that night, when Nonō is blackmailed by Danzo into an intelligence gathering mission in the Hidden Stone Village, Kabuto also ends up in Root’s services as he spend much of his childhood infiltrating the villages of the Five Great Shinobi Nations. It was only while on a mission in the Stone Village to take out an enemy, Kabuto is attacked by who he quickly learned to be Nonō when he gravely wounded her. Attempting to heal her, Kabuto is shocked that she did not recognize him as he is forced to run away. Pondering this, Kabuto is once again approached by Orochimaru who bring him to his secret laboratory where he reveals that Root orchestrated Kabuto and Nonō to kill each other to silence them. 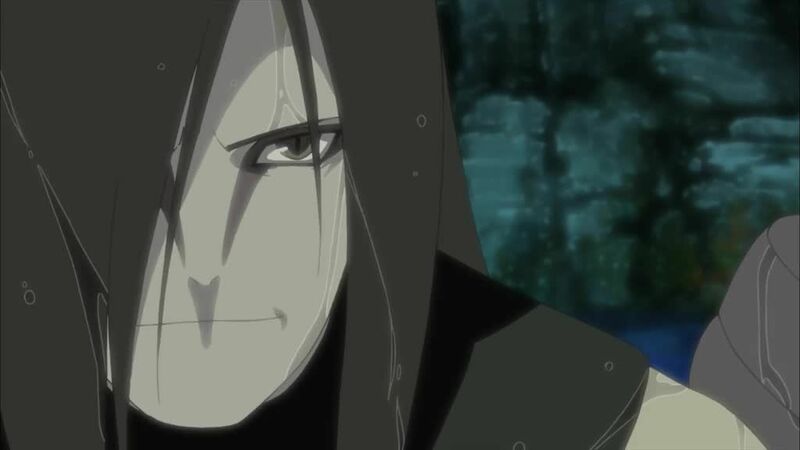 Though he admits that he was supposed to kill any survivor, reminding the child of his lack of individuality due to Root, Orochimaru instead offers Kabuto a position as his right hand with the promise of true identity of his very own. Years later, after Orochimaru’s later defeat by Sasuke, Kabuto injected himself with his former mentor’s blood to achieve his quest to find his “true self”.